How Important is Having “The Right Board” for Buttering? A softer flex will make it easier. If you’ve got an all-mountain board you might find that it’s hard to get the board to bend, easily. If you do press the nose or tail, it might seem like the other end is hardly raised from the snow. ‘Forcing’ more flex, or leaning more, will just put you off balance. But don’t be fooled into thinking that it’s necessary. My opinion is that a softer board makes it easier to learn to butter. Easier, but not necessary. Imagine getting into an F1 motorcar and trying to race around a Grand Prix circuit. For most of us, we’d fail. You’ve got to be good enough to drive the car really fast in order to get grip from the tyres – but if you start off at that speed you won’t be able to keep the car on the road, it’s too fast for you to handle. A catch-22. You can’t learn to race around the circuit in an F1 car – it’s the wrong car, it’s prohibitive. Something less highly tuned is necessary. This is not the case for buttering on a snowboard 😉 An all-mountain or freeride board will not stop you from learning to butter. For some, it will hardly make a difference. For others, it will just slow their progression on the learning curve. In some cases it will feel really difficult, like it’s not possible. But it is possible, these shredders can still get there. It’s just a bit harder. The very first time I went snowboarding, a week in Chamonix, I saw a group of snowboarders putting the waddle to good use. You know, the technique of bouncing from one tip of the board to the other to move across flat ground. They made it look so easy – and their boards just seemed to be so bendy and springy. I was new; it looked so cool, not to mention useful. I wanted it. But I couldn’t get the hang of it. Whenever I tried the board just didn’t seem to respond how it should. 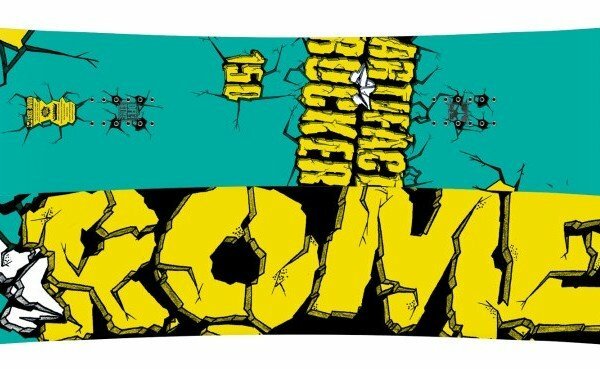 I was convinced that I had the wrong snowboard for the job (which, by the way, was a Burton Clash). But here’s the thing. I’d been spending more time on the board. I’d been to a freestyle camp for a week. I was a better snowboarder. Learning how to butter and ollie and 180 was all part of that. Did the shorter, softer and twin setup of the Agent help? No doubt. But when I went back to riding the Anthem – I realised that I could do all those things on that board too. And when I got it right on the stiffer board – it had more pop. And what about Rocker and Reverse Camber? Camber vs. reverse-camber for things like buttering is essentially the same issue. A board with reverse-camber is most likely going to be easier for buttering; you’re less likely to hang up on an edge. I say it like that because I don’t really know. The argument makes sense to me, and it’s the common opinion. The Lib Tech T.Rice that I ride does have their ‘banana tech’ – but I haven’t noticed much of a difference, it’s very slight. But don’t forget – many snowboarders were buttering just fine before reverse-camber boards came along. You certainly don’t need a reverse-camber board to get you going. No way. Maybe if I tested out 10 rockers vs 10 regular-camber boards, just to butter, I’d have a more definite opinion of how much difference it actually makes. But I know for sure, now, that it’s not necessary. I’m sure there are many people who buy a freeride or all-mountain board to begin with, because they like “riding around”. Then at some point they start to look at the freestyle tricks and jibbing that other snowboarders are doing and wonder if their board is suitable for that stuff. Do they need a new board? If you’re learning to butter, a softer, more freestyle oriented board will help you, it will make things easier. But it’s not a necessity. If you like you’re all-mountain board don’t feel like you must have a freestyle-stick to start playing around. However, if you know that you’re starting to do a lot more jibbing, you’re riding rails and boxes and spending more time in the park, then sure, a freestyle board is a better tool for that job. You might be thinking that there’s no harm in having two boards? There isn’t. 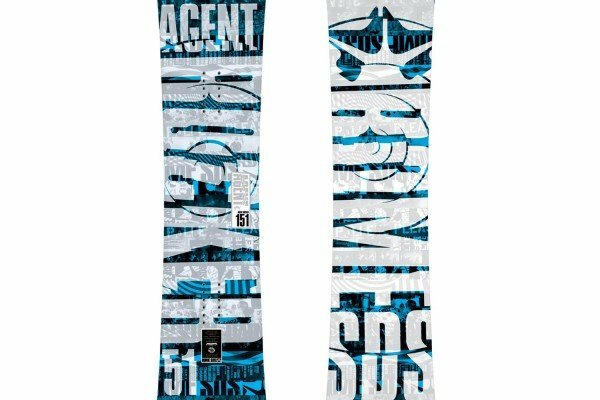 Just be sure to read: How Many Snowboards Do You Need?. You may be interested in the article: Learning How to Butter on a Snowboard. First of all, nice post with an topic im realy busy about!! (like my “Is my board good for freestyle, or am i just too unexperienced for it?”) and i agree with you with many points. The one, that its easier to learn on a softer board is right, and doable on an all-mountain board also. 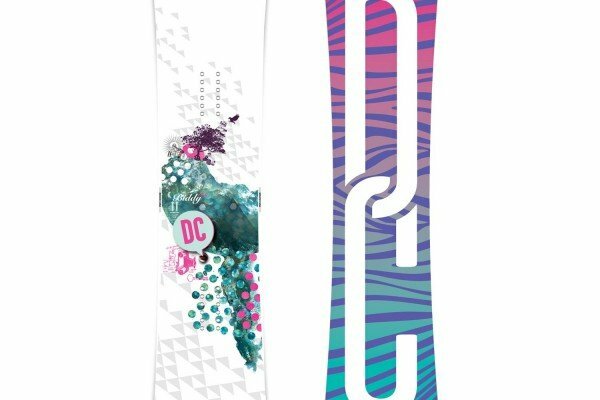 The Guy from the snowboard-shop told me for example, that if im looking for a 100% Freestyle board, i should take a look at rocker technology, he said because he tested it out, and he had the feeling that its not just easier, more likely he could do !more! things on it. So there is one Point you controvert to your own point. You said, that you couldn’t really butter on the Burton Clash and got another board, more Freestylish etc. much time spend for learning and also an 1 week freestyle camp. and now you said, you switched back to your old board and said you could butter really good. So i think you more likely say, that it’s really important to learn on an freestyleboard, otherwise you need longer to learn? So at that point i think it’s really like you said with the F1 car. You give an high-technical hard flex board to a beginner, and he will have big problems doing anything. Give the same person an soft and flexy- forgiving board. and he can learn and progress. so i think you need the skill to ride harder flex boards freestilish. So i think at buttering, you would benefit most with this board. So one more question i would ask you at this point, and you maybe could make and article about it, because im really interested in that. “How does your Stance width determine your riding and what riding styles(Powder, butter, carving etc.) does what width help? As my first board I got a Forum Darkness (an old wide version of the destroyer and about as stiff the as K2 Slayblade I tried earlier this year) off ebay. While it made learning tricks harder and was difficult to press it did make me carve (as i couldn’t muscle it round), go faster than alot of beginners (due to a lack of maneourability at slow speeds) and was better than awful hire boards though clearly unsuitable for learning freestyle. When I got my Stepchild Headless Horseman this year buttering and basic 180s were suddenly much easier. I don’t regret getting the Forum as it means I know what it feels like to ride a much stiffer board (and the benefits of a stiffer board). While it slowed me down learning 180s and buttering it meant that my technique had to be better. Reneator prior to deciding on the Stepchild I tested out a range of boards and camber, rocker, v-rocker etc… just try to test as many boards as possible (not easy I know) and don’t be put of from rocker vrocker etc by 1 board you don’t like. I would really recommend trying the Stepchild HH if you want a freestyle board that can handle icy pistes as well as the park. Gavin have you been on any week long freestyle courses or other snowboard courses that aren’t freestyle based? If so what are the pros and cons of such holidays? @Rene so I spent my first week on the Clash, and the next two weeks on the Anthem, which was stiff.There’s no doubt that when I switched to the Agent (3rd board) it was nicely setup for learning to butter, ollie etc. However, by the time that I compared both the Agent and the Anthem, I’d done another two weeks, on the Agent. So I reckon it’s a combiniation of the board, and just spending more time riding. But yes – I’d agree that it would take longer on a different board, in my case, it would have taken longer if I’d stuck with the Anthem. One of the points I’m trying to make is this: if you’re starting to look at buttering/ollies/freestyle stuff, BUT, you still spend a lot of your time riding, carving and looking for off-piste snow – you’ll get there on whatever board you’re riding. So if you don’t have the cash or the inclination to take two boards away with you, it’s gonna be ok 🙂 just maybe a little slower to learn. The first camp, was the first winter I decided I wanted to do “more” snowboarding – I planned four weeks. Friends could only make two of the weeks, so I planned two trips, solo. Excellent experience. Given that I was travelling alone, a camp made sense, as it would give me people to ride with and tuition. That week in Diablerets, November, was also the the time when I bought the Rome Agent, so it was my introduction to freestyle. Before then, I don’t think I’d really though about ollies and stuff. I was just blasting around the mountain. Pros – assuming the instructors are good, you’re going to learn stuff. The group/coach environment, I imagine, is great for progression and motivation, which is beneficial to many. They’ll show you places to ride around the mountain. You have a “group” to ride with, and to hang out with/chill/party with off the slopes. If you don’t normally go away in a group, that can be a real bonus! I haven’t been on a non-freestyle course, but I would like to do some improvement-training for advanced riding, I think that would be fun and beneficial. Building myself a balance rail this weekend (I kept my old board for that and as a rock hopper). 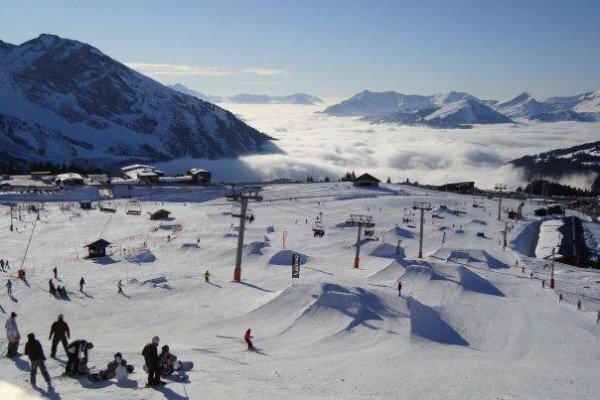 Really tempted by a course or camp as one of my holidays next year as I haven’t had any instruction since the my initial learn in a day course at snozone and have probably acquired some bad habits. I’m 5,9″ with 160lbs and i ride 154cm board. What stance is goos for buttering? Im trying different ones from 56-60cm wide but cannot find anything good to me. Do you recommend wider stance instead of regular? Wider stance seems to hurt my knees and i dont really know if i should get shorter board for wider stance? lots of questions there, and I’ve got a few in return. First of all, is buttering new to you? Can you already do it a little, or is not really there yet? Second – you’re a similar build and height to me, so I’m assuming that 154 board is fairly freestyle oriented? Is that what you’re using it for? All over the mountain, but more towards freestyle? A narrower stance will give you more nose/tail, so a little more scope to get a lot of flex. Too narrow is going to feel awkward and off balance – and when I say too narrow, I’m not referring to 56cm, I think that’s a decent width. Wider is going to give you more stability, but I’ve found that too wide can make it harder to ollie, and it’s gonna push you to the limit of being effective for the edge profile of the board – that being where your feet end up applying pressure to the board, to control the edges… Too wide for me would be 24″+. Even 23″ seems quite wide (I can’t remember accurately last time I played around with the widths). If your knees are hurting after a change, then it’s probably not good for you. – what are your angles? – is it a twin board? – are you riding snow mountains, or plastic or indoor snow? 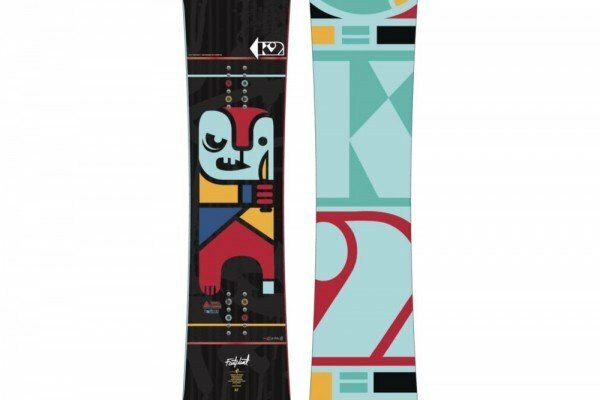 As for length, at your size I don’t think you need to go shorter… you might consider it if you’re purely jib, and all indoor snow… but even so, 154 should be ok.
Rider > board. Sure some are softer or already pre-bent for you but a good rider will know how and more importantly why a board butters.